POSTLocator™ contains British National Grid locations for all geographic postcodes, such that the co-ordinates are within the boundary of an address near the centre of those covered by the postcode. The file also contains the Local Authority details such as the county, district or unitary council, Health Authority details and the Council Electoral Ward. We have also provided the locations in Latitude / Longitude decimal degrees (WGS84). The current release is from Quarter 3 2018 released in November 2018. The table includes the Clinical Commissioning Group (CCG) details for England. These comprise the ONS Code and the Name in separate columns. For a detailed description see the Readme. For a full price list for POSTLocator then click here. If you just want the information in text format, e.g. to load into a database, then select the CSV format. 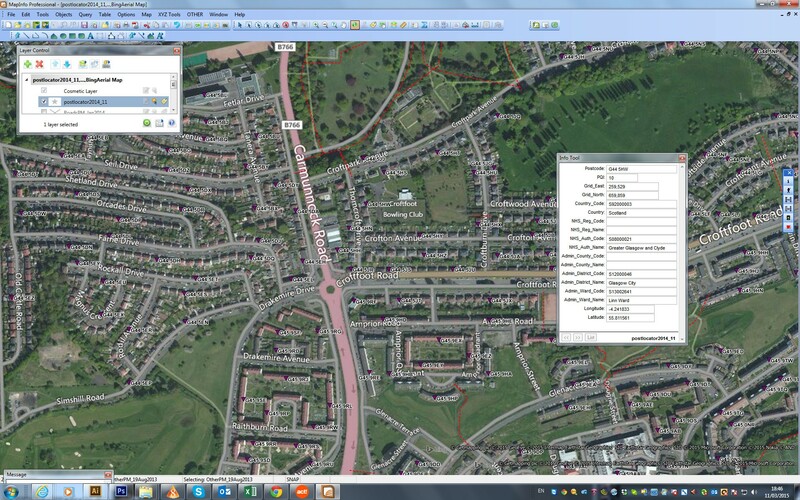 The MapInfo TAB version is ready to use within the MapInfo GIS system, so each postcode already has a map point. The ESRI Shape version is ready to use in ArcGIS, so each postcode already has a map point.